This vibrant, happy shade of yellow invites the sunshine (and sunny vibes) in. That's what makes yellow one of my favorite colors. 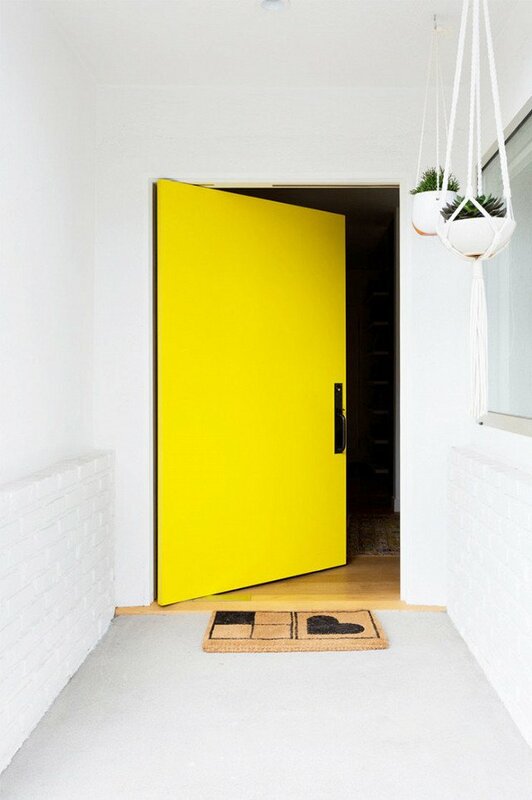 Accessorized with a simple welcome mat and a few hanging plants, this bright door only requires minimal décor to make a big opening statement.